Local history. The Ouseburn Culvert and Victoria Tunnel were used as air raid shelters during WW2. The New Bridge Street Goods Station was only one target of many during the Newcastle Blitz which killed a total of 400 people. Newcastle and the North East were targeted for their heavy industry and transport connections. 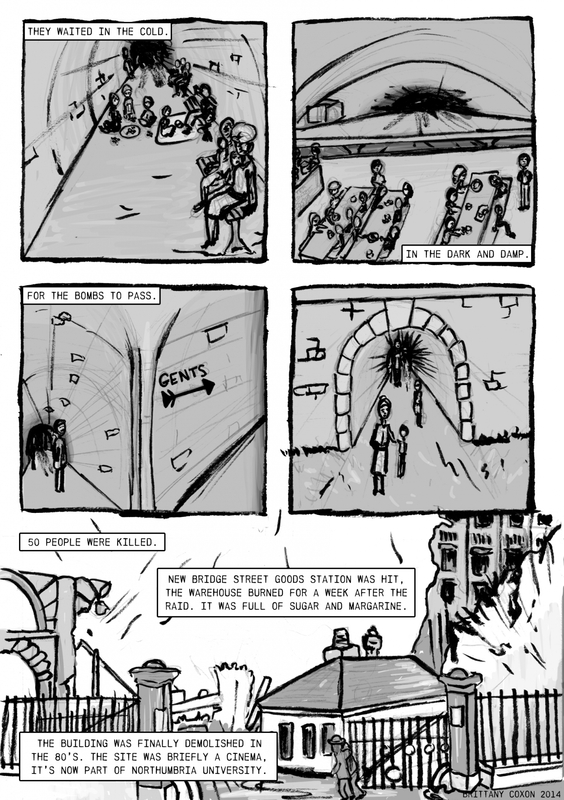 Part of the Paper Jam Comics Collective Newcastle Stories and that anthology. I’ve talked with my grandparents about their experiences as children during WW2 and hearing it from someone you know gives it a lot more weight than a history book would. It also reminded me that regular life was still going on around it, some schools remained open, work continued, food was put on tables. Some children would bring bits of shrapnel they’d found to school, there was competition to see who got the biggest bit, they’d play games in the shelters until they heard the all clear. Apparently the coffee wasn’t very good in the air raid shelters, but it was warm. The Victoria Tunnel has had many other uses throughout the years including as a rather large garden shed and a mushroom farm. There are regular tours of the Victoria Tunnel organised by the Ouseburn Trust, I highly recommend them. The tour guides are knowledgeable and amazing at telling the story that brings a dark and damp tunnel to life. 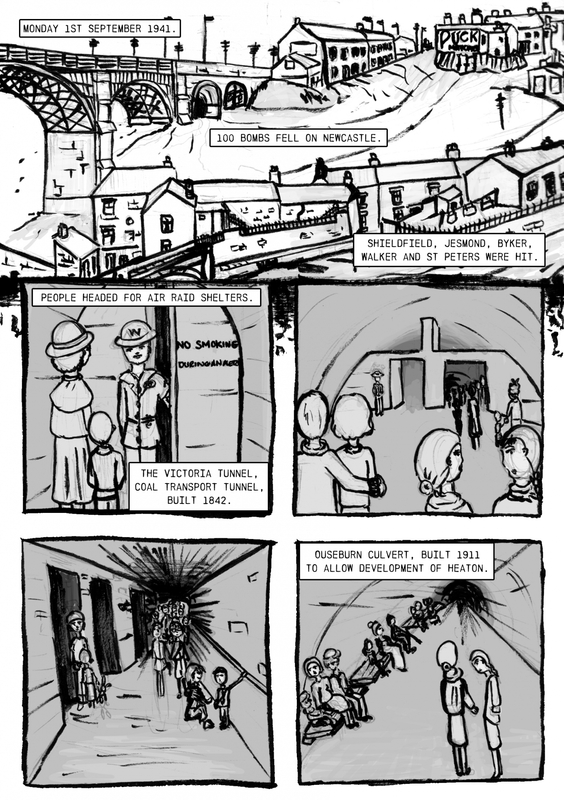 The tour inspired me to make this comic, even though the Victoria Tunnel plays a small part in it.